Erimo-chou えりも町is located in the most southern tip of eastern Hokkaido. Erimo is less advertised when it comes to tourism in Hokkaido, and it is famous only for horses, wood industry, fishing – especially salmon, and the Hidaka konbu, kelp used in the Japanese cuisine. And there is also the scenic beauty of Erimo-misaki, Cape Erimo. There is even a nice enka song called Erimo Misaki. The Hidaka Mountains “fall” into the ocean here. It is a very windy area in Japan, with wind blowing 290 days a year. Winds are strong, and it can be chilly even in summer. The peaks stand even 60 m high over the Pacific Ocean. Warm and cold currents meet here, and sea fog is formed as you will see in the photos. The view is beautiful, and there are seagulls and seals. 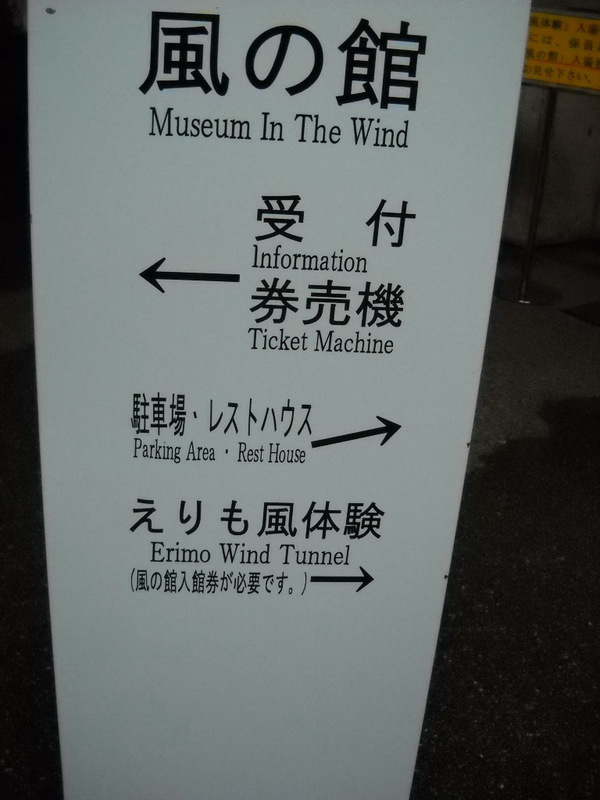 And there is a wind museum, 風の館 kaze no yakata – “House of the Wind” – a museum about the area and the local wildlife. North of here there is a locality from where the Golden Road starts. Ougon-douro has this name because of its cost. It was very difficult to build it on this rocky area. Cape Erimo is located at the tip of the marking in pink. In the museum "House of the Wind" one can experience strong wind, too. Bannerizer made it easy for you to promote ClickBank products with banners, simply visit Bannerizer, and get the banner codes for your selected ClickBank products or use the Universal ClickBank Banner Rotator Tool to promote all of the available ClickBank products.